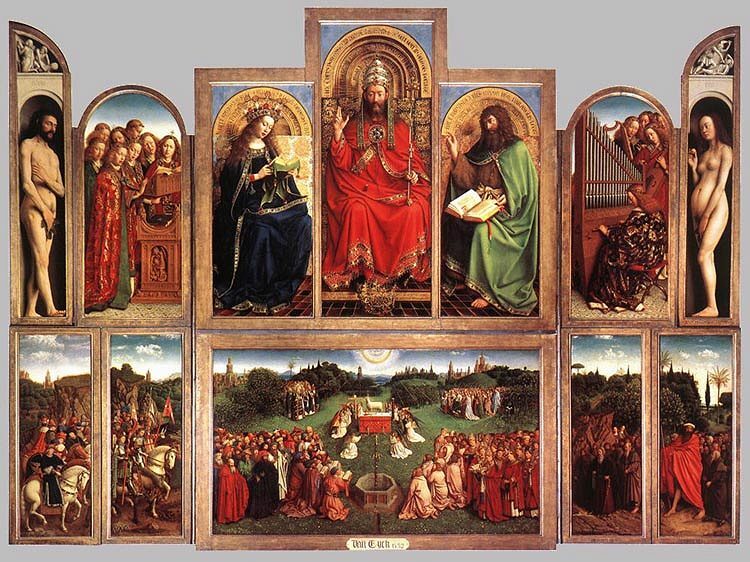 As is usual with so many of the great religious artists of the Renaissance, van Eyck's birth date is unknown, but usually given as around 1390. His ability to secure patronages, first with John of Bavaria and then with Phillip the Good of Burgundy gave him not only the good life but also the freedom to pursue his own artistic way. His developments and skill in working with oils brought the medium to its full glory that we so enjoy today. Until van Eyck, oils were little used.  After him, oils were the medium of choice. His ability in the use of oils, especially in the reflections of light, still amaze us today. Reality and detail are his trademarks. And perhaps vanity. 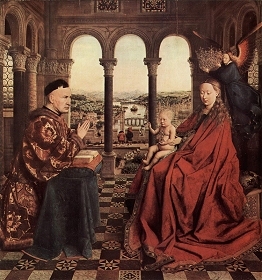 In the Virgin of Canon van der Paele, his portrait can be seen reflected in the shield of St George, and in The Arnolfini Portrait, two figures are seen in the mirror. 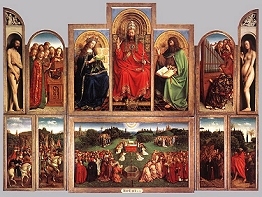 It is assumed that he learned some of his artistic skills from his older brother Hubert, but this is unknown as is the fact that the Hubert that appears on the Ghent alter piece is actually his brother, or for that matter even an artist. That Hubert could have done the carvings. The assumption is based on the apparent differing styles among the murals and that Jan took over after the original artist (his brother?) died. Van Eyck did have a younger brother that was an artist. 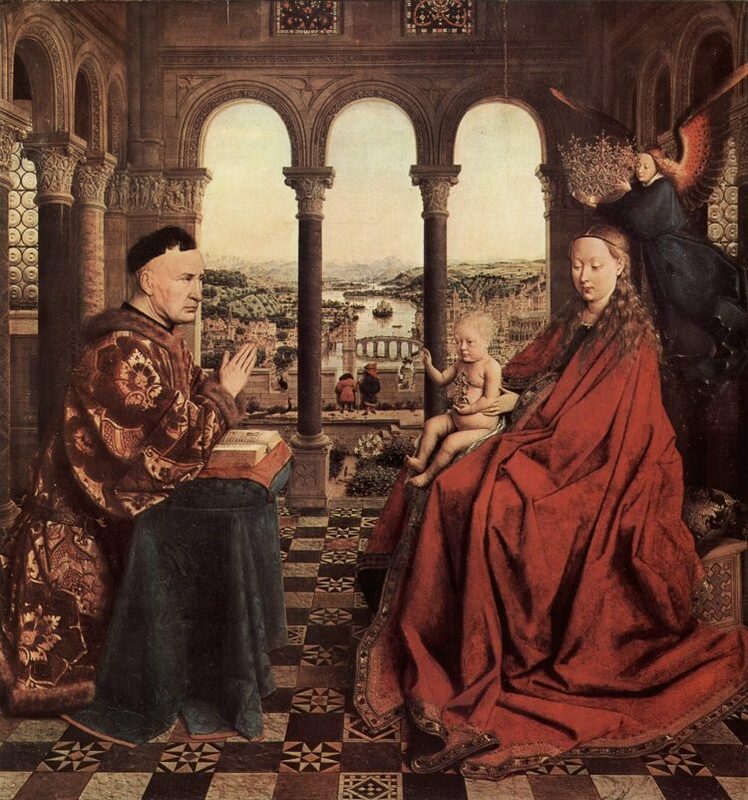 Either way, it is Jan van Eyck that we remember today, for his religious art and his life like portraits.